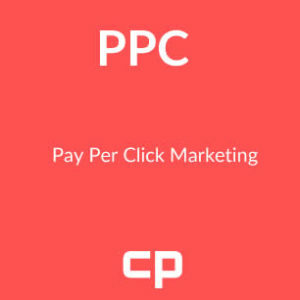 We offer the most professional (PPC) Pay Per Click Manchester has to offer through many years of experience on Google Adwords, Bing Ads and Facebook Ads. Some people play down the use of Facebook for PPC purposes but we have found that the conversion rates can be extraordinary if you bid correctly to the right audience! We can manage your campaign and never take our eyes off the ball, continually refining the Campaigns and Ad Groups so that they match the structural content of your website perfectly. We won’t just set up basic campaigns and leave them to look after themselves. We will be constantly looking at how we can generate more turnover, engagements or enquiries for your company while keeping the Cost Per Click low. Based on the periphery of this great city Carousel Projects is a PPC agency which we established because as an online retailer ourselves we could not find any PPC companies competent enough to handle our PPC campaigns. Having fired all of them we decided to start our own company. You will encounter many companies offering PPC in Manchester and they will take you money in huge setup fees and management charges without delivering what you need from them. In most cases -sales. We do not over complicate campaigns – we keep them simple and transparent delivering results for you! We are PPC experts and do not just offer these services as an add-on to website development – we do the work ourselves, we do not outsource to other PPC agencies! Set up your Google Adwords and Analytics accounts. Set up your campaigns taking the structure and content of your website as a template. Carry out extensive keyword analysis on your chosen niche using your input to guide us. Set up ad text ads that match your criteria, including site links, call out and phone extensions. Set up Display Ads that match your goals and ambitions. Set up and import your Merchant Feed into merchant centre. Set up shopping ads so that your products appear at the top of results. Set budgets that you can work with varying them at different times of the year and season depending on your company’s seasonality. Set up tracking with your developer and reporting so you can see which campaigns are working for you. Set up audiences and remarketing to keep your customers coming back. Manage your PPC expectations on a monthly or weekly basis. We perform the same function across Bing Ads and Facebook Advertising networks. Our services are based on many years of trusting other people to do the job right for us. None have so we are dedicated to give you the kind of service that we could do for ourselves, We won’t leave you dangling, not knowing what is going on. You will get monthly reports showing you cost and revenues so you can easily track your return on investment. There is no additional % charge per network spend like you may find with other agencies so what you see is what you pay. If you are looking for a PPC company in Manchester, Cheshire or the North West then why not give us a try – we won’t tie you up in year-long contracts either! Contact us and we’ll show you some of the best, most cost-effective PPC in the Manchester area! We also provide Google Ads training should you wish to take this in-house.